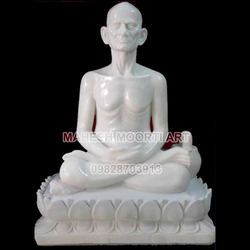 We specialize in offering an attractive range of Human Marble Statues of various dharma gurus and preachers. Based on client inputs and requirements, we also customize this range. The range can be availed in varied sizes and styles at best available industry prices. 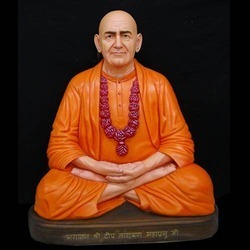 Our range of Marble Statue of Swami Niranjnanand Ji Maharaj depicts the dharma in a blessing mode. The idol is sitting over a flat base, which provides suitable placement. The range is made using quality marble stones and colors by our skilled artisans and craftsmen. The statues are finished with quality colors and polishing and are available in the market at reasonable rates. 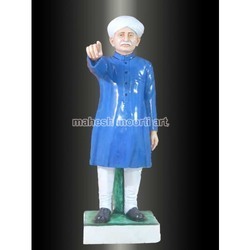 We offer a beautiful collection of the statues of Mony Maharaj Neemkheda (Gujrat). This range is made in pure white marble stone and represents the persona of Mony Maharaj Neemkheda, who is situated at a Village Named Neemkheda in (Gujrat). This statue is available in the size of 3" and can be customized as per client requirements. 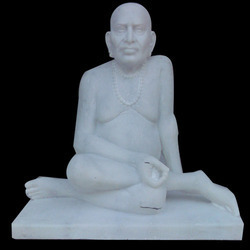 We offer an admirable range of Shri Swami Samarth of Akkalkot Marble Statue. Akkalkot Niwasi Shri Swami Samartha also known as Swami Samartha Maharaj, Swami Maharaj is a household word in Maharashtra, Karnataka and Andhra Pradesh. 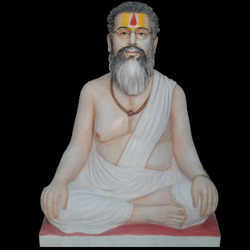 He is believed to be from the tradition of several sages in the Dattatreya sampradaya. 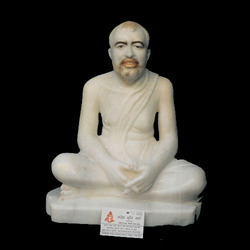 Our range of marble statues depicts his respectable stature in all dignity and vigor. 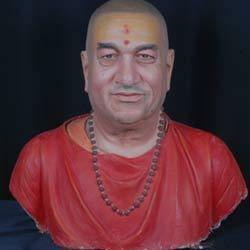 We hold specialization in offering variety of Marble Statue of Swami Ramkrishna Parmhans that are made from quality marble stone and other stones. This range depicts the enigmatic persona of Swami Ramkrishna Parmhans in a detailed manner. This array comes with a firm base, which is flat that provides a stationary base. We offer this collection in different styles and sizes at very reasonable prices. Our collection of Marble Statue Half Bust is one of the fast moving sculptures crafted by our seasoned and professional artisans. The range made with quality stones to deliver high quality standard products to our customers. We offer this range in variegated styles, shapes, sizes, and other specifications. The range is available with us at economic prices. 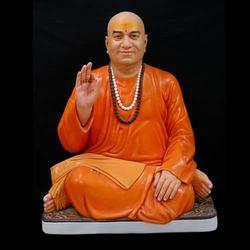 Clients can avail an elegant collection of Acharya Shri 108 Sanmati Sagarji Maharaj Statues from us. This range is fabricated with quality materials, and is carefully designed by our team of experienced craftsmen. The range can be availed in variegated specifications, as per the individual requirements of the clients. We offer this range to our customers at best industry prices. Our collection of Artifact Model represents gurus sitting in mediation asana, where they are connected with god with their karmic connections. The product comes with a flat base and facilitate stationary placement. These artifacts are made by our skilled technicians and artisans. The range is colored in saffron color and the key features are highlighted elegantly. Clients can avail this range from us at industry leading prices. 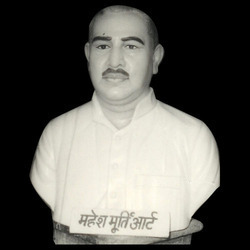 Our company also offer artifact which is the bust of human being or any renowned personality. These are made with specific design for balancing the sculpture well and make the lower half heavier. We offer these products with variety of colors and shapes. These are available in the market at leading rates. Looking for Human Marble Statues ?